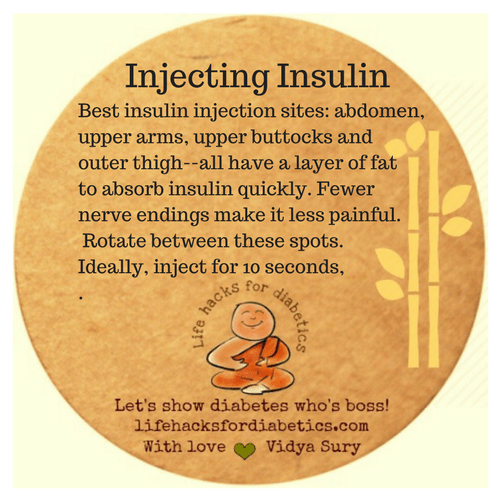 Best insulin injection sites: abdomen, upper arms, upper buttocks and outer thigh–all have a layer of fat to absorb insulin quickly. Fewer nerve endings make it less painful. Rotate between these spots. Ideally, inject for 10 seconds. The effect of insulin on your blood glucose levels changes based on where you inject.